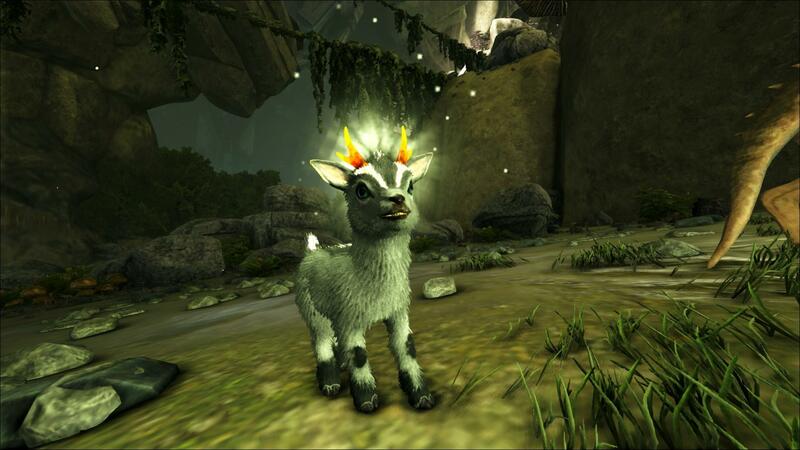 How to tame the new creatures in the new DLC Ark: Abberation. One of the new creatures added in Ark: Abberation is a Karkinos, a large crab with an incredible jumping ability and grabbing ability. To tame this incredible beast you must make a cage large enough to fit the crab. (Note you will need a behemoth gate in order to trap it.) You then must use either a cannon, catapult, or ballista. I would recommend the catapult as It is easier than cannon. You must hit its body in order to deal torpor. Hitting it in other locations of the body such as legs will only hurt your crab. Once knocked out you can feed it spoiled meat or its preferred kibble, Carbonemys Kibble. The saddle can be found in your engrams log and crafted in the smithy. Once tamed you will use your crab to tame some of the other creatures in this guide. The Ravager is a powerful hound with a powerful bite. The Ravager has a couple main abilities. The first is its jump. Its jump is a powerful jump allowing you to jump over 2 wall high walls if you on a hill. The other main ability is its climbing. The Ravager can climb ziplines and certain vines that go from cliff to cliff. To begin climbing simply look at the zipline until you see an arrow and press the spacebar. The Ravagers are a simple tame. You can bola them though be aware they will get out after a little bit. The best way to tame a Ravager is to use a Karkinos (Giant Crab). You can hold down the right click or left click to grab the ravager then tranq the ravager while in the crabs claws. The Ravagers do get a pack bonus so be aware of any other Ravagers when you approach to tame. Be aware that Ravagers take quite alot of tranqs so make sure to have extras. The saddle is fairly easy to make. You can craft the saddle for a Ravager in a smithy. When in a pack Ravagers are very powerful and can defeat many threats. Lantern Pets are a group of 4 different pets that give off a charge light. The most common is a Bulbdog. Bulbdogs have a good charge capacity and have decent health for a small pet. The other 3 are Shinehorn, Glowtail, and Featherlight all of which are a bit harder to get than a Bulbdog. These small friends eat different types of mushroom and plant species z seeds. All Lantern Pets sit on your shoulder. A Roll Rat is a large rat that digs for gems in the wild. This large rat will eat giant bee honey. Simply put the honey in your 0 slot on your hotbar and when the rat burrows throw the honey ontop of the hole. The rat can hold up to six people on its back. The rat's roll is said to be able to damage metal though when you crash into things the saddle gets damaged thus having a good blueprint for a saddle will help if you want your rat to be a battlemount. The Roll Rat can be set on wandering to gather mushrooms passively. Do not take the Roll Rats gems as it will agro onto you and lose taming. The Basilisk is a large snake that burrows into the ground. To tame the Basilisk you must feed it Rock Drake eggs passively. The Basilisk has amazing weight and does good damage. Watch out for the Basilisk in the wild as it can hide pretty well when in a forest or in a place with lots of rocks. The Rock Drake is tamed by stealing its egg and hatching the egg. The egg must be very cold in order to hatch. The Rock Drake once tamed can climb on walls and glide. It can camoflauge thus making animals around it not agro onto it. The Drake also has a Tek Saddle which can be used to raid people on Abberation by gliding toward their base and shooting Tek Lasers at the base.